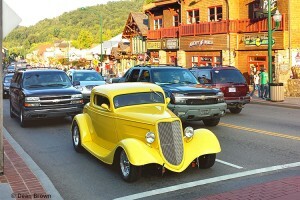 Fall must be coming because Pigeon Forge has caught the muscle car fever again. 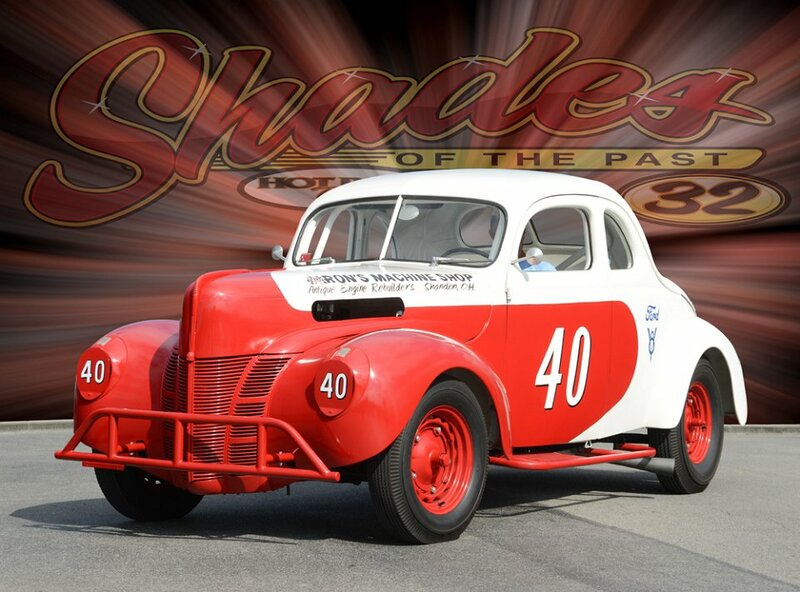 The 2015, 33rd Annual Shades of the Past Hot Rod Roundup happens again this Friday and Saturday, September 11-12, at Dollywood’s Splash Country. It’s a family-fun affair with no alcohol, indoor restrooms, and a huge parking lot filled with amazing cars on display, none of which is newer than 1972 – sorry friend, you’ll have to park that new Caddy somewhere else! Parking is plentiful at Splash Country for $12 – or you can park for free in downtown Pigeon Forge and take the trolley out for 50 cents. The show is open 8 am to 5 pm each day, and on Saturday the judging and awards start at 4:30pm. This is where a ’32 Ford Hi-Boy Roadster is given as the first prize, followed by $10,000 as 2nd prize! Lots of other categories are also awarded for the best hot rods, customs and classics on show, including Best Street Cruiser and Best Street Rod, as well as several specialized, Mighty Muscle picks. For full information see the Hot Rod Roundup 2015 website. Pets on leashes can come to the show, but they’re not allowed on trolleys for safety reasons, so you’ll need to drive out. Admission is $10 and kids 12 and under get in free (and you can get a hand stamp if you want to leave the show and come back during the day). 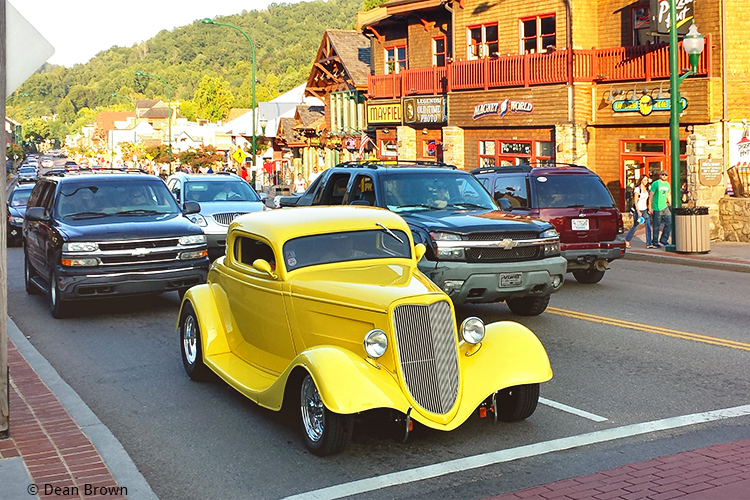 If this weekend’s display of muscle, might and gleaming paint doesn’t satisfy your appetite for horsepower, stay tuned – and stay over – for the following weekend Thurs-Sat, September 17-19, when Pigeon Forge puts on a 3-day party called Cruising the Strip, for the annual fall Rod Run. Traffic is not for the faint of heart or people in a hurry during Rod Run, but crowds are super friendly and relaxed, as always in this part of the world, and the cars are worth slowing down to watch. The town fills up with eye-catching sights on every corner, so you might as well walk and forget your other plans. The Rod Run will be awarding $10,000 in cash prizes, with multiple categories of excellence and automobile beauty. There are some other events in the area also during the week, including a Corvette Expo, and a muscle car autocross and swap meet. So there are plenty of enthusiasts in the area, and they converge on Pigeon Forge for the weekend party. Now in its 33rd year like the Rod Roundup, the Rod Run centers around light #6 on Parkway in Pigeon Forge. Be warned that it lasts late in the night, with lots of drivers who prefer to get their beauty rest from the soft growl of the motor. It’s great fun, with plenty of incredible tee-shirts and other memorabilia – as if you’re going to forget it anyway. For full information see the 2015 Fall Rod Run website. TIP: we have many cabins close to downtown Pigeon Forge if you’re in town for either event. This weekend we have a HALF-PRICE special on remaining cabins Fri-Sun, September 11-13. Call us 24/7 at 855-91-SMOKY and we’ll advise you on your best cabin for your needs – it’s always better in a cabin than a hotel, for spacious fun and easy living, plus you can get away from the crowds. It’s too soon to know what last-minute specials we may have for the Rod Run weekend, but keep your eye on our Specials page. And if you wonder where to stay during this event, check out our Pigeon Forge cabins, as well as our Gatlinburg cabin rentals and Wears Valley cabins.